Beautiful face, 3 new tones, complete body overhaul. There are 15 makeups with this initial release, at least 7 more are planned. So, what do you get when you purchase a Sonja skin? You get light and dark brows, cleavage options and blonde and dark hairbases on the tattoo layer. It’s that time again!!! 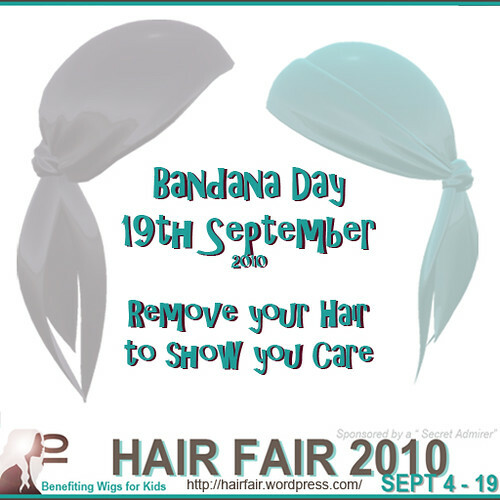 Remove your hair to show you care today, on our annual Bandana Day. Shown here are but a few examples of the amazing bandanas you can pick up from Hair Fair. I love this pearl and lace concoction from Flair…I feel very vegas! Also, there’s just a few hours left to grab your copy of a limited edition pre release Sonja skin. There was some confusion yesterday, as I had called it makeup…not thinking that now with viewer 2, people sell makeups by themselves :P It’s a pack of skins, in all tones, with all brow, cleavage and hair base options at a bargain price. Grab yours before they disappear into my inv!!! Ash Out. SL is an amazing place, yes it frustrates us when the grid is broken, but without the grid, borked or working, we would lose this incredible medium of communication with each other. My luck in this virtual world is to be surrounded by some of the most creative, talented women on the grid. One such woman is Helena Stringer. If you look up the word scrappy in the SL dictionary, it has a picture of her demon self, no doubt petrifying a mere mortal :P This year, she has beaten the RL odds, and now..thank goodness has come back to us with an array of goodies to make us drool. Shown above is the fair exclusive hair Pearl Persuasion. Yup…I totally have a whole heap of pearls on my head…and don’t they look divine! You could soo do the modern Marie Antoinette, or take it in a completely different direction as I chose to. I have robots!!!! Teeny robots decorating my head…thanks to RoboBambie. The textures are absolutely amazing, I chose the pastel rainbows pack. Heres more of the same…sans robots. 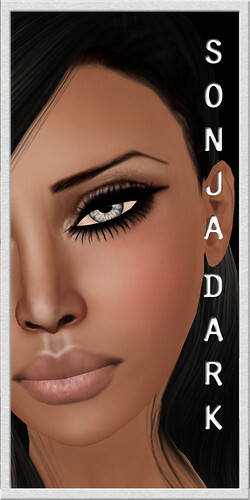 And to bring it full circle, that it’s not just about the hair….we hit the million linden mark sometime yesterday. I’m so proud of all the designers who gave their time this year, and my fellow committee members, you all rock! Ash Out. One of the best things about Hair Fair, and indeed any large fashion event, is the treasures you find, that may be either new to you, or entirely new full stop. The Strand is one of those treasures. The designer has a small, but perfectly executed selection of styles. Blossom is the fashionista coiff. I chose to dress it down this time, but throw on a cocktail dress and some statement earrings and you’re good to go! Jackie is super cute, the braid as a headband is so adorable. The fringe is perfect, not too heavy and not too feathered. And finishing with my absolute fave, Sammie. I absolutely love bakerboy hats, and this one has the perfect jaunt over one eye. You get a wide choice of fabrics and colours, so you’ll definitely find something for every outfit. Speaking of outfits, I bought this sweater probably a year ago…then promptly lost it. I only re-discovered it when doing a feverish inv clean before Hair Fair started. But everything old, is new to someone right! Ash Out. Last year’s Hair Fair offering from Toast Bard had me running round wearing a saucepan on my head, I even worked it wearing a ballgown once :P This year’s hair is romantic, soft and gorgeous. I bought the Earths pack in the 4 styles I’m showing, as I’ve been flitting between blonde and brunette lately, but honestly, nothing beats a naturals pack….I miss those! This is perfect Jussy hair, I hope she grabs it after having cleaned out all the guy stores for the shorter hair offerings! This last style reminds me of the time mini me came into the lounge room from the kitchen, and handed me a chunk of her beautiful baby curls that she had lopped off while I was on the phone, I’m still not over that one :P Check out Fashionably Dead, as well as the other incredible designers at this years Hair Fair, there really is something for everyone. Ash Out. 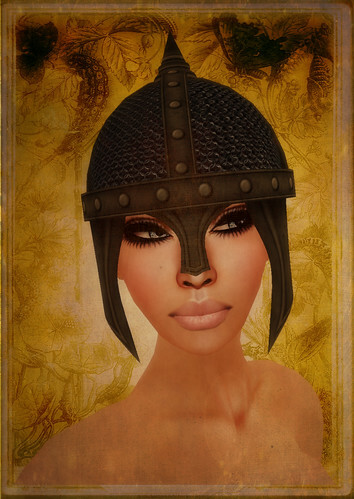 We Open at 10am SLT…..Are you ready?! As a way to combat lag this year, we have set up Hair Fair Demo Group. It is an in world group that all of the designers will be sending their demos to on 3rd September. (the notice archives are full as we speak of demos from various designers!) We are hoping that many of you join the group and are able to spend hours prior to the fair trying on all the different styles. Whimsy even wants everyone to have Demo parties, getting together to compare and have fun with styles you may not even otherwise have tried. That way you can go to the fair knowing exactly what hair you want . This group is not *required*, it is an optional thing that may help you if like me, you don’t do well in crowds!